(MODEL RELEASED IMAGE). 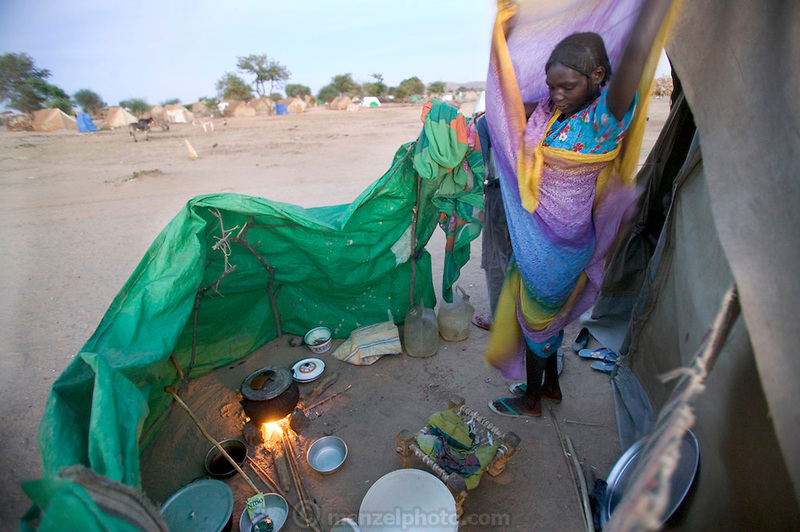 As she arranges her clothes in the chilly desert dawn, D'jimia Ishakh Souleymane, a Sudanese widow at a refugee camp in neighboring Chad, watches the pot of water she is heating to make aiysh (porridge). Anticipating the new moon at the end of the month of Ramadan, when Muslims fast, she is preparing a celebratory meal for her five children. Hungry Planet: What the World Eats (p. 21).